The easy and cheap availability of computing power have encouraged researchers to develop smart and intelligent computing algorithms and applications. There is a tremendous interest among researchers in developing techniques to process data and extract knowledge from the data. This talk will summarize the research projects undertaken by me and my research team in recent years. The progress made in solving the practical problems related to engineering and aviation based on intelligent data processing techniques will be presented. Lakhmi C. Jain,BE(Hons),ME, PhD, Fellow (Engineers Australia), serves as a Visiting Professor in Bournemouth University, United Kingdom and Adjunct Professor in the Faculty of Education, Science, Technology & Mathematics In the University of Canberra, Australia. DrJain founded the KES International for providing a professional community the opportunities for publications, knowledge exchange, cooperation and teaming. Involving around 5,000 researchers drawn from universities and companies world-wide, KES facilitates international cooperation and generate synergy in teaching and research. KES regularly provides networking opportunities for professional community through one of the largest conferences of its kind in the area of KES. His interests focus on the artificial intelligence paradigms and their applications in complex systems, security, e-education, e-healthcare, unmanned air vehicles and intelligent systems. Unmanned Arial Vehicle (UAV) networking is an emerging technology that has already enabled a wide range of civilian and military applications including transportation, navigation and traffic control, border patrolling and surveillance, fire control, precision agriculture, with many more yet to come. It is expected that the commercial UAV market value hits a record of $2 billion by 2022.The future trend of UAV technology is known to be utilizing swarms of small-scale cooperative UAVs to accomplish complicated tasks, simply because a single UAV with a relatively short communication range and limited sensing, computation and operation equipment is not capable of completing intricate tasks in a limited time. Developing UAV swarms requires a distributed version of control and communication algorithms that accommodate extremely dynamic topologies. This talk explores recent developments in communication protocols designed for UAV networks. This includes two parts. In the first part, we review mobility models used for UAVs in order to predict network topology changes by processing motion trajectories. We will cover model-based methods as well as data driven fuzzy methods. In the second part, we review the impact of mobility and topology change on different key communication performance metrics such as data throughput, delay, and connectivity. In particular, we will review reactive, proactive and predictive routing algorithms in terms of flexibility, performance and optimality. The focus will be on the new generation of predictive protocols designed based on incorporating predicted network topologies into communication protocols. Dr. Abolfazl Razi is an Assistant Professor in the School of Informatics, Computing and Cyber Systems at Northern Arizona University (NAU). 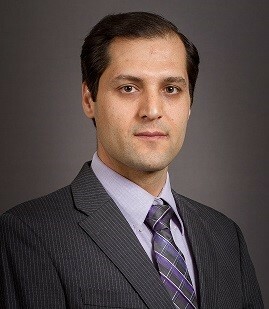 He received his BSs, MSc, and PhD in Electrical Engineering, respectively from Sharif University of Technology (1998), Tehran Polytechnic (2001), and University of Maine (2013). His PhDresearch focused on developing distributed source and channel coding for hybrid sensor networks under dynamic conditions. In 2013-14, He held a Postdoctoral Associate position at Duke University working on machine learning, Bayesian inference and nonlinear inverse problems. Prior to joining NAU, he was a Postdoctoral fellow at Case Western Reserve University with focus on developing network-based integrative models to analyze cancer genomics. 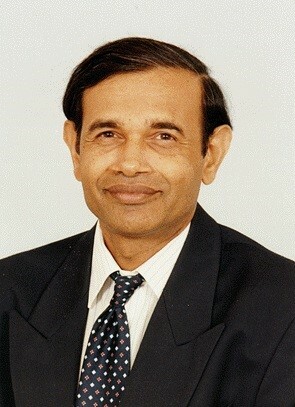 He also served as project manager, and R&D researcher for 8 years in wireless industry (2001-2009), where he obtained several training certificates from leading wireless companies including Ericsson, Nokia, Siemens, ST incard, microelectronic, Gemplus, and Aircom.He also served as organizing committee, TPC member for several IEEE conferences including WiSEE2014-17, CCNC 2019, WiOPT 2016, PiMRC2018, VTC 2018, SECON 2018, and CISS2014.His current research centers on the interplay of wireless networking, machine learning and graph theory. In particular, he is interested in developing predictive communication protocols for UAV networks. 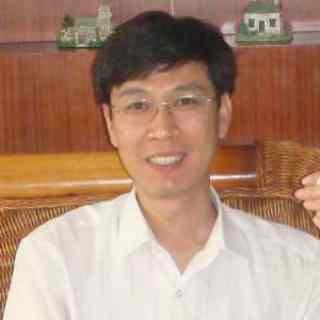 His research is published in more than 45 IEEE journal and conference papers.He received the best paper award in IEEE/CaneusWokshop on Fly by Wirelessfor his work on passive sensors. His current research is supported by NSF, NIH, Arizona board of regents, and US Airforce research laboratory. Peng Wang is a Professor at School of Computer Science, Northwestern Polytechnical University, China. Language is one of the most important means that human use to communicate and encode knowledge. In artificial intelligence, natural language processing also plays a fundamental role. As a key measure of AI, Turing test is too based on question answering. Recently, vision and language interactive problems has given rise to increasing attentions in the CV and NLP communities, key tasks including image captioning, visual question answering and visual dialog. In this report, I will introduce my work on these problems, in particular the efforts that try to incorporate symbolic semantic information into vision and language interactive tasks. He was with the Australian Centre for Visual Technologies (ACVT) of the University of Adelaide for about four years. His research interests are computer vision, machine learning and artificial intelligence. He received a Bachelor in electrical engineering and automation, and a PhD in control science and engineering from Beihang University (China) in 2004 and 2011, respectively. Distance measures are used in many aspects of machine learning tasks, including classification, clustering, anomaly detection and information retrieval. Euclidean distance and Gaussian kernel are typical data independent metrics traditionally used in machine learning algorithms because they allow for interpretation as a geometric model and mathematical analysis. 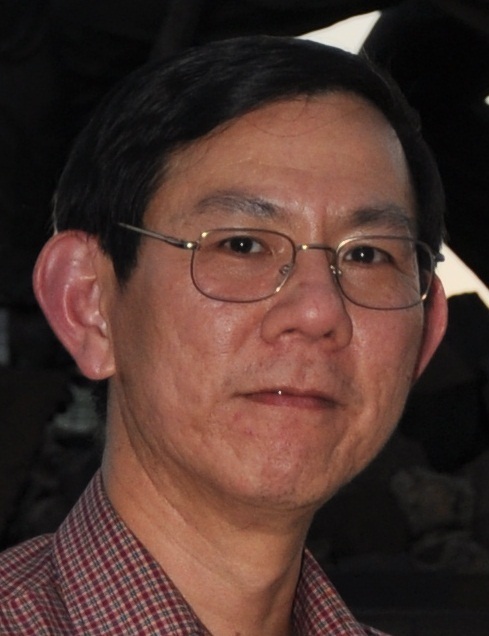 After receiving his PhD from the University of Sydney, Kai Ming Ting had worked at the University of Waikato, Deakin University and Monash University. He joins Federation University Australia since 2014. He had previously held visiting positions at Osaka University, Nanjing University, and Chinese University of Hong Kong. His current research interests are in the areas of mass estimation, mass-based dissimilarity, anomaly detection, ensemble approaches, data streams, data mining and machine learning in general. He has served as a program committee co-chair for the Twelfth Pacific-Asia Conference on Knowledge Discovery and Data Mining (PAKDD-2008). He was a member of the program committee for a number of international conferences including ACM SIGKDD International Conference on Knowledge Discovery and Data Mining, and International Conference on Machine Learning. He has received research funding from Australian Research Council, US Air Force of Scientific Research (AFOSR/AOARD), Toyota InfoTechnology Center, and Australian Institute of Sports. Awards received include the Runner-up Best Paper Award in 2008 IEEE ICDM (for Isolation Forest), and the Best Paper Award in 2006 PAKDD. He is the creator of isolation techniques, mass-based similarity and isolation kernel. 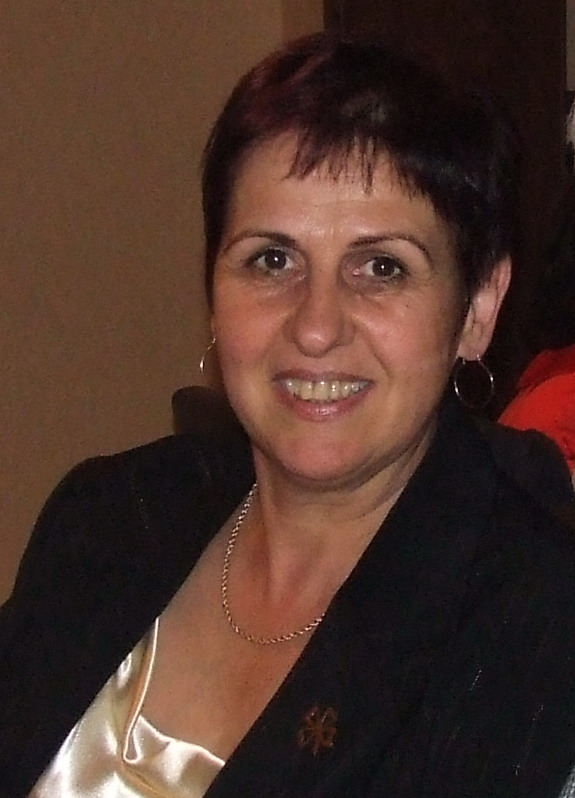 Valentina E. Balas is currently Full Professor in the Department of Automatics and Applied Software at the Faculty of Engineering, “Aurel Vlaicu” University of Arad, Romania. She holds a Ph.D. in Applied Electronics and Telecommunications from Polytechnic University of Timisoara. Dr. Balas is author of more than 280 research papers in refereed journals and International Conferences. Her research interests are in Intelligent Systems, Fuzzy Control, Soft Computing, Smart Sensors, Information Fusion, Modeling and Simulation. The lecture presents newresearch directions of our team in the realm of Brain-Inspired NanoArchitecture for integrated circuits in order to achieve low power consumptionand high reliability computing for the devices of the future. Our approach is dealing with the gated ionchannels which can be considered the nano-switches of the brain. This willallow us to analyze the statistical behavior of arrays of such brain-inspireddevices. Moore and Shannonintroduced a particular class of two-terminal networks, known as hammocknetworks. These kinds of networks are potentially important to applications innanoelectronics as well as in biology. Taking inspiration from axoncommunication, which relies on ion channels distributed on cylindricalstructures, we introduce a generalization of the classical hammock networks. We focus on evaluating reliability in the case of twoterminal networks. She is the Editor-in Chief toInternational Journal of Advanced Intelligence Paradigms (IJAIP) and to International Journal of Computational Systems Engineering (IJCSysE), member in Editorial Board member of several national and international journals and is evaluator expert for national, international projects and PhD Thesis. Dr. Balas is the director of Intelligent Systems Research Centre in Aurel Vlaicu University of Arad and Director of the Department of International Relations, Programs and Projects in the same university. She served as General Chair of the International Workshop Soft Computing and Applications (SOFA) in eight editions 2005-2018 held in Romania and Hungary. Dr. Balas participated in many international conferences as Organizer, Honorary Chair, Session Chair and member in Steering, Advisory or International Program Committees. She is a member of EUSFLAT, SIAM and a Senior Member IEEE, member in TC – Fuzzy Systems (IEEE CIS), member in TC - Emergent Technologies (IEEE CIS), member in TC – Soft Computing (IEEE SMCS). Dr. Balas was past Vice-president (Awards) of IFSA International Fuzzy Systems Association Council (2013-2015) and is a Joint Secretary of the Governing Council of Forum for Interdisciplinary Mathematics (FIM), - A Multidisciplinary Academic Body, India. Vice General Manager, Telchina Smart Industry Group Co. Ltd.
Internet of Things (NB-IoT), a narrow band massive connection technology of mobile IoT, has brought about Smart City 3.0.In this generation of Smart Cities, IoT serves as the neural network of the city and artificial intelligence (AI) serves as the brain of the city. SmartCity 3.0 is dedicated to comprehensive connections both between things and people and between things and things. This generation has multiple application scenarios, including smart water, smart lighting, smart underground pipeline，smart smart transportation, smart parking，etc. so，how to apply NB-IoT technology in above areas has been a key role insmart city construction proceeding，we will share our experiments for our peers.